I remember when the first iPad was released. People spent hours in line waiting to get their hands on an iPad. Owning an iPad was such a big deal that the iPad owners were interviewed by news stations just because they bought an iPad. Pretty much all of what I said, regarding the software limitation and how it might or might not fit into your work style, remains true for the 2018 iPad Pro. Check the newly added section at the bottom of the post. It changed the landscape of technology and introduced something first of its kind. Maybe there were other devices similar to it, but the iPad saw the first wide-scale commercial success of such a device. No matter whether you like the iPad or not, you can’t deny the revolution that it brought so many years ago. And if you remember, Steve Jobs used the word “magical” to describe the iPad. He wasn’t wrong one bit. A few years ago, the marketshare for tablet devices, including Apple’s iPads, began falling. Apple had to do something to bring the iPad back from the brink of its death. So, it got to work. Apple wouldn’t create magic again. All phones and tablets look and work largely the same. So it’s pretty difficult to introduce something that wows the world. But Apple made significant changes and introduced a new kind iPad to make it relevant again. And thus, the iPad Pro was born. Right from the start, the iPad Pro was a powerhouse. Apple continued to improve upon the iPad Pro so much that today, it has so much power under the hood that if it weren’t for iOS, it would have already begun eating into laptops’ marketplace. But Apple sells laptops too. So it’s in their own interest to keep their iPad Pro line separate from the MacBook line. However, the company put much thought into how to make the iPad Pro as practical as it can be in the modern era. And for the most part, they succeeded. There are two versions of iPad Pro: 10.5-inch and 12.9-inch. I use the 10.5-inch and would recommend this size to everyone. At 12.9-inch, it becomes too heavy to hold in one hand. It also loses one of the best things about the iPad Pro — its portability. Yeah, it’s still lightweight, but not as light as the 10.5-inch. If you haven’t already, you can see the full tech specs of the iPad Pro on Apple’s website. I’m going to skip rewriting the specifications. Instead, I’ll briefly tell you what my iPad Pro setup looks like, what I use it for, some negative sides of it, and whether you should buy one for yourself. As described above, I opted for the 10.5-inch iPad Pro because that’s the best size for me. I wouldn’t buy a laptop at that screen size, but for an iPad, that was the sweet spot. It has so much power under the hood that if it weren’t for iOS, it would have already begun eating into laptops’ marketplace. The one I got has 256 GB of onboard storage. I opted for a bit more space since I couldn’t add space after the fact and I wanted to import raw photos which would take up a lot of space. My unit also has cellular and WiFi connectivity. I opted for a cellular model hoping that I would be able to use a SIM card to use internet exclusively. However, due to iCloud account being connected to one SIM card already, I was not able to make it work. My phone number on the iPhone would be different from the one on the iPad, and because both devices are connected to the same iCloud account, it wasn’t playing nicely. So, that was a bummer. I can’t use the cellular features of the iPad Pro despite having the option to insert a SIM card. 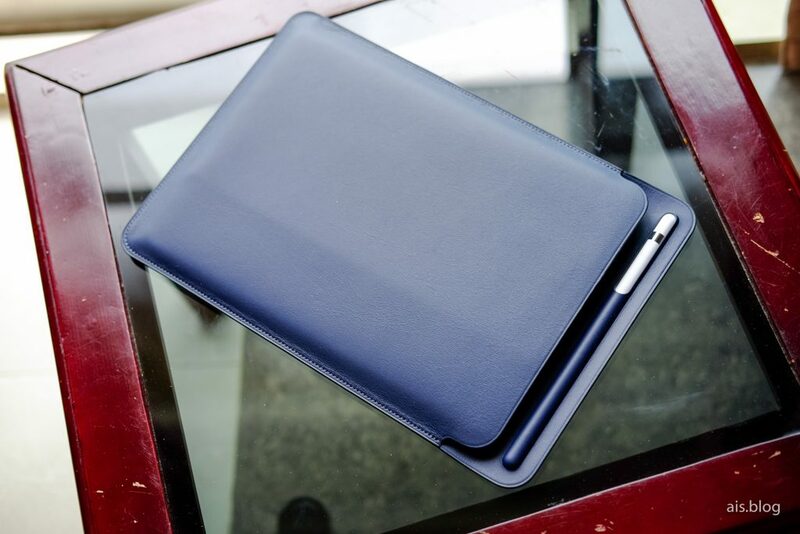 The leather sleeve is a great accessory to keep the iPad Pro with Smart Keyboard and Apple Pencil together. In terms of accessories, I got the whole suite: Apple Pencil, Smart Keyboard, and Leather Sleeve which houses both the iPad Pro with the Smart Keyboard and the Apple Pencil. I think that without the Apple Pencil and Smart Keyboard, you won’t really be experiencing the true functionality of the iPad Pro. I mean, if you won’t be using the Pencil or the Smart Keyboard, you might as well get a regular iPad. The latest iPad supports Apple Pencil input too. So, a regular iPad makes sense if all you need is the Pencil input. 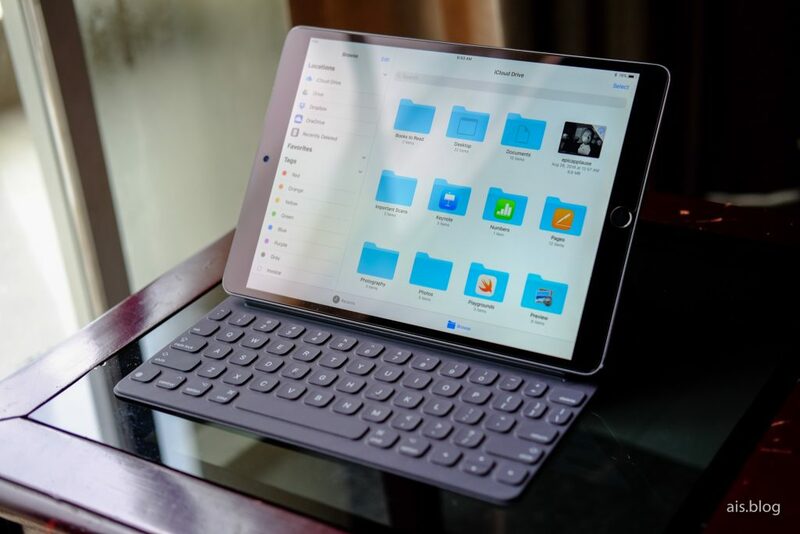 But if you need to do a lot of typing and you want to use the Smart Keyboard, you need the smart connectors on the iPad which only exist on the iPad Pro. I also have a handful of dongles that I bought. I was a little overenthusiastic about it because I ended up not using most of these. 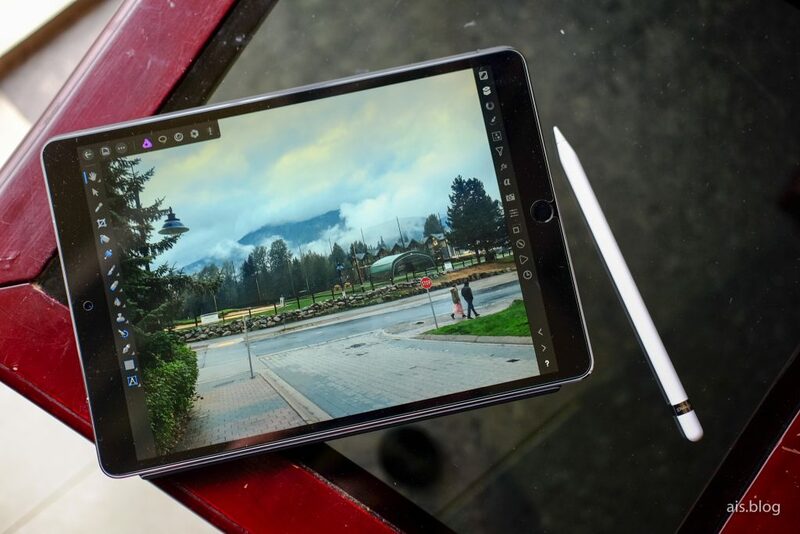 But depending on what type of work you intend on doing on your iPad Pro, you may want to pick up a relevant adapter like the lightning to SD card or lightning to Camera adapter. If you already have a computer and you want a second device, the iPad Pro will fit in perfectly, more so if you’re already in the Apple ecosystem. When I was deciding between the iPad Pro and MacBook, back when I didn’t know I’d end up getting both, the argument for not getting the MacBook was that I wouldn’t get to experience anything new. 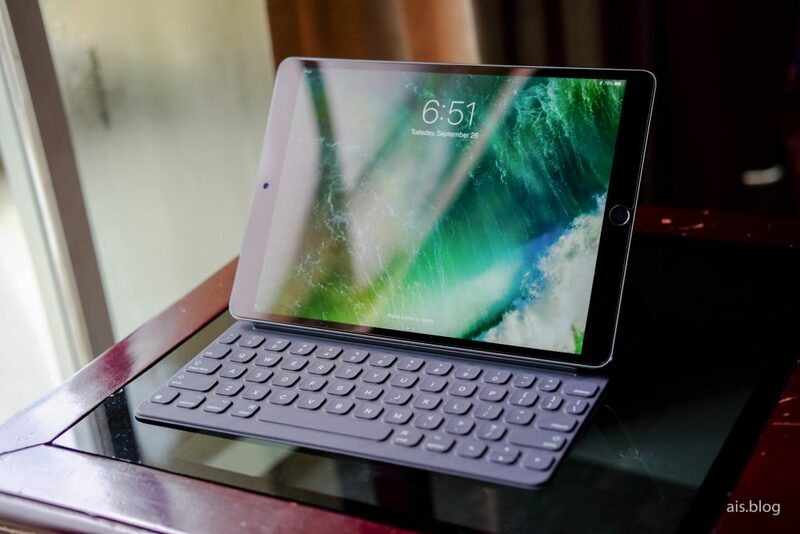 The iPad Pro lets you experience something new: With the Smart Keyboard, which I consider the second best keyboard Apple makes, and the Apple Pencil, you’ll experience something truly amazing. It felt like a device of its own category even though I had upgraded from the iPad Mini 4. After I got the iPad Pro back in September 2017, I couldn’t stop writing with the Apple Pencil on the iPad Pro. I had experienced this before on a Surface Pro 4 with the Surface Pen, but the difference was noticeable. While Surface Pro, by itself, is an awesome device, in terms of just using the Pencil on the display alone, iPad Pro wins hands down. There is a little bit of a slippery feeling because of the glossy display when writing with the Pencil on an iPad Pro, but if it bothers you a lot, you can always put a matte screen protector on it to make the experience even more life-like. The 10.5-inch iPad Pro is pretty powerful, too. In fact, it’s almost too powerful, putting even the more expensive 12-inch MacBooks behind. This is probably the first time an iPad has outperformed a full-fledged Apple computer in terms of sheer benchmark numbers. And it shows. The amazing 120 Hz refresh rate and the spectacular ProMotion goodness aside, the iPad has never slowed down. I’ve been using it for almost a year now and it has never lagged once. That’s how good it is. My previous iPad Mini 4, which was the best tablet I’d ever used, would occasionally slow down or lag a little bit when opening heavy apps, I’ve never faced that in the iPad Pro in my one year of use. The iPad Pro’s battery lasts forever. I mean, I wish that were true, but in today’s world where almost every day you have to plug something into the wall, not having to charge the iPad Pro every day feels like forever. Even after a good amount of time spent on watching Netflix, finishing Tom Clancy’s Jack Ryan on Amazon Prime, and doing a lot of browsing the web, the iPad Pro retains enough juice to go through another day of moderate use. 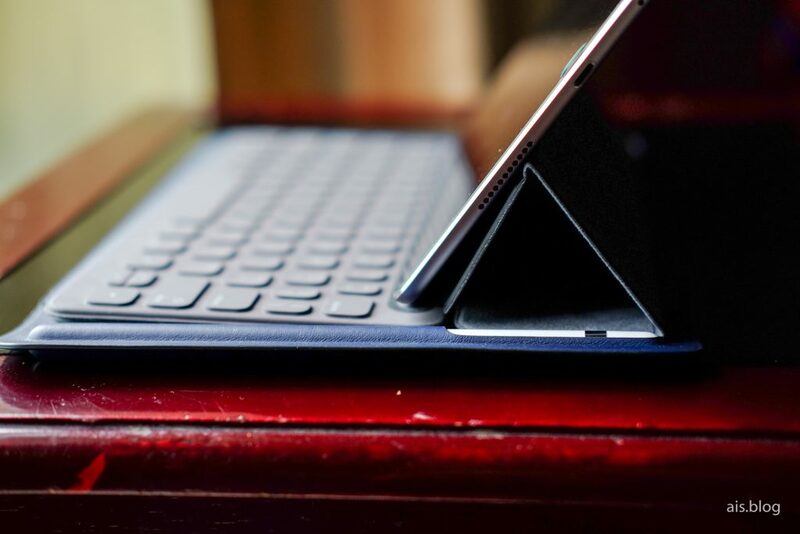 If you’re getting the iPad Pro, chances are, you’ll be consuming content a lot. Its gorgeous screen will make you want to watch the next episode of your favorite show on Netflix. Because it’s a tablet device, you can download the shows for offline viewing — something you can’t do on Macs yet. The display makes text look so good and crispy that you’ll want to continue reading that book you’ve been putting off for months. To be fair, all iPads are great consumption devices. You don’t need the iPad Pro model to consume device at the iPad glory. But with the iPad Pro’s goodness, you won’t be able to resist consuming content. Whether that’s a good thing or a bad thing is up to you to decide. So consider this a fair warning! To make the experience even better, the iPad Pro has the best sounding speakers I’ve ever seen on a tablet device. Thanks to running an Android-focused website for over two years, I’ve had the chance to test out a lot of tablet devices in various price ranges. iPads always had the best speakers on the market. But with the iPad Pro, Apple has beaten itself and set the bar incredibly high for the rest of the industry. The downside? Once you become used to the iPad’s four bass-heavy, clear and shockingly loud speakers, nothing else will be satisfying enough. Some of the biggest customers of iPad Pros are the writers. I don’t mean just novel writers, but all kinds of writers. Whether it’s a book or a blog, screenwriting or speechwriting, note-taking or email proposals, writing on the iPad Pro is fun. First, the Smart Keyboard is super comfortable. I consider this the second best keyboard Apple makes (See my detailed Apple Keyboards’ comparison to find out more). The keys are satisfyingly tactile without being loud at all. Key presses give a solid feeling even when typing fast. The texture on the keys makes it really comfortable on the fingers. I type faster on the iPad Pro’s Smart Keyboard than I do on my 2017 15-inch MacBook Pro with the second generation butterfly switches. You get the idea. Second, the distraction-free writing is pretty helpful. Yes, the iPad Pro supports multitasking which allows you to open up to three apps at once. But when you’re writing, it’s easy to avoid all the distractions should you need distraction-free writing. Clearly, you don’t need the iPad Pro to do distraction-free writing. But having one when you’re waiting at the airport or in a coffee shop certainly doesn’t hurt! Finally, the long-lasting battery of the iPad Pro means that you can do your productivity tasks much longer. I bet that it will last longer than most laptops for obvious reasons. For this alone, I’ve taken only the iPad Pro leaving the laptop at home. Except for a few occasions, I have mostly not regretted that. Okay, in the interest of not overusing the word, I will not say magical in this post anymore. But it’s not an overstatement. It’s not the first of its kind, but it is what I used and I loved every second of using it. The closest competitor is the Surface Pro with the Surface Pen. I believe those are really great devices. But if I’m thinking about using the Pen/Pencil alone, I’d take the iPad Pro over Surface Pro every day of the week. It’s hard to explain this in words. It’s something you have to experience. Even then, it’ll be hard to understand because individually, both of them are great. But when you test them side by side, you’ll realize the Apple Pencil experience on the iPad Pro is quite a bit better. While I was just playing around with the Apple Pencil after I got it for the first time, later I decided to it put it through its paces. I took the iPad Pro to all my classes for a semester and I took all my class notes using the Apple Pencil on an app called Notability. Let me tell you one thing about my experience: I’ve never loved taking notes in the class, but the iPad Pro with Apple Pencil changed that! Sure, I typed much faster on the MacBook Pro. But there’s something about handwriting notes. And on an iPad Pro with an Apple Pencil, that experience is truly awesome. I’ve tested a few drawing apps as well. ProCreate, Adobe Draw, etc are some of the coolest apps you can try out if you are into any sort of illustrations. There are many videos on YouTube that show professional illustrators using the iPad Pro to create beautiful artwork. There are tons of stuff to be inspired by. And it’s all made amazing by the Apple Pencil. Charging the Apple Pencil couldn’t be more ridiculous, but thankfully, it charges extremely fast. To the point where I always go: wow, that charged up fast! So you won’t be putting the Apple Pencil in that awkward position for too long. If you are getting the iPad Pro and thinking you don’t need the Apple Pencil, think again. At $99, the Apple Pencil isn’t cheap, but it is one of those things without which your ‘iPad Pro experience’ will remain somewhat incomplete. The iPad Pro packs a significantly good camera. Sadly, cameras on iPads are always underrated and overlooked. But that doesn’t take away the fact that you have an amazing camera at your disposal that can shoot high-quality photos. As long as you can ignore the onlookers laughing at you for using your iPad to take a photo, you’ll be satisfied with the iPad Pro’s f/1.8 aperture 12-megapixel camera. Shot with an iPhone, edited with Affinity Photo on the iPad Pro with Apple Pencil. The app selection on the iPad Pro is pretty wide. From photo editing to even video and audio editing, the iPad Pro has something for every professional. Although they may not replace your desktop software, some of them are pretty fancy. I don’t know what industry you work in or what you’re interested in, but do check out what apps are available for the iPad Pro and you might be surprised by what’s out there. The great thing about the iPad Pro, above all, is its power. And those apps are designed to make use of this extra power. So, explore the App Store to see what’s out there. Perhaps you’ll find something that will make the iPad Pro even more worth it! The most limiting factor about the iPad Pro is its software. I think it’s capable of running a full-fledged desktop operating system, but Apple won’t let it. They were pretty strong about their decision not to merge iOS and macOS. So, macOS coming to iPad Pro is anyone’s dream now. But to me, that’s the biggest downside of the iPad Pro, one that many will use as a dealbreaker since they can easily get a full-fledged computer for a similar price. It’s also needless to mention that the iPad Pro is expensive. Sure, just the iPad Pro doesn’t have too big of an asking price. But like I said, you need the full suite of iPad accessories to enjoy what’s best about the iPad Pro, and when you do that, you will easily end up spending a few hundred dollars more. 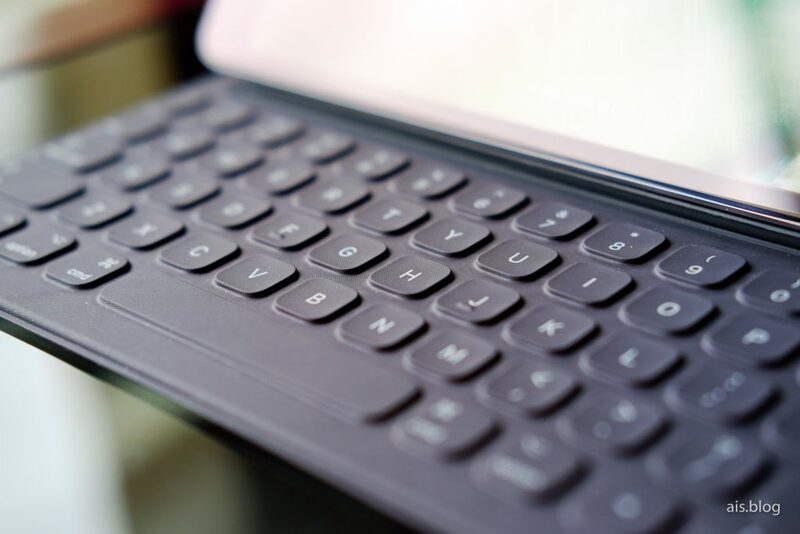 The Smart Keyboard that works best on the iPad Pro has two crucial downsides. When you flip it open and put it on the table in the ‘laptop’ mode, the side of the cover that touches the surface of the table is the same side that covers the display. That means if it picks up any dirt or anything wet, if you don’t clean it before folding it back close, it will touch the display. I think this is a pretty bad design on Apple’s part. The other thing about the Smart Keyboard is that there’s only one angle in which you can put the iPad in with the keyboard open. For any other angle, you’ll have to look at third-party accessories. For lightweight tasks, it may be hard for most people to justify that price for the iPad Pro. And I won’t try too hard to persuade you to buy an iPad Pro if you’re on a budget. But if you weigh in the pros and cons and the value that you’ll be getting from an iPad Pro, you may end up deciding that the iPad Pro is the perfect device for you. If you do, I can tell you that you’ll not be disappointed by it. Sure, you may feel a bit limited due to iOS not having all the desktop apps you want to run, but if your expectations are right, you won’t be disappointed. You must be thinking, after all that praise, why I’m talking about selling the iPad Pro? Those nays must not be so bad that I decided to get rid of it, right? Yes, you’re right. It’s not because the iPad Pro is giving me a buyer’s remorse. I absolutely love this piece of technology and I would love to keep it. But the reason I’m not going to keep it is that I realized it doesn’t fit my work style. And that bit is important before you head over to get the iPad Pro. It’s not hard to get into the habit of using the iPad Pro as a productivity device. I realized that I still like having a traditional laptop with me all the time. The iPad Pro with the Smart Keyboard gives me that traditional laptop feeling, but it’s the lack of a proper desktop-class operating system that I find hard to overlook in my day-to-day use. As I mentioned above, the iPad Pro can be an awesome productivity and creative tool for the right person. Turns out, I’m still a bit old-fashioned and prefer macOS over iOS. Because iOS, despite having all those professional grade apps, is not fitting my work style, I’m getting it off my hand. As with most things in tech, there is no one answer that fits all. Despite all the positives, some people will still feel this is a bad product for them. Despite all the negatives, some people will find that the iPad can replace their laptop. So, it really depends on what you want to do on the iPad Pro once you get it. Most people would assume that the iPad Pro, despite its Pro title, can’t handle heavy tasks. You have to decide what heavy task is and you have to find out what iOS apps are out there that can tackle this. From what I’ve read and heard in other blogs and YouTube channels, most are surprised to find out how good the iPad Pro is and how they have found a decent workflow that works great with it. So, there’s a good chance the that iPad Pro will surprise you too, but you’ll want to do your research first and plan out what exactly you want this for. If there’s an app for the kind of work you want to do, you’ll most likely be fine with it. But if you’re like me and would prefer to stick to a full-blown desktop operating system, you may feel a tad limited by Apple’s choice of operating system on the iPad Pro. The new 2018 iPad Pro – is it worth it? 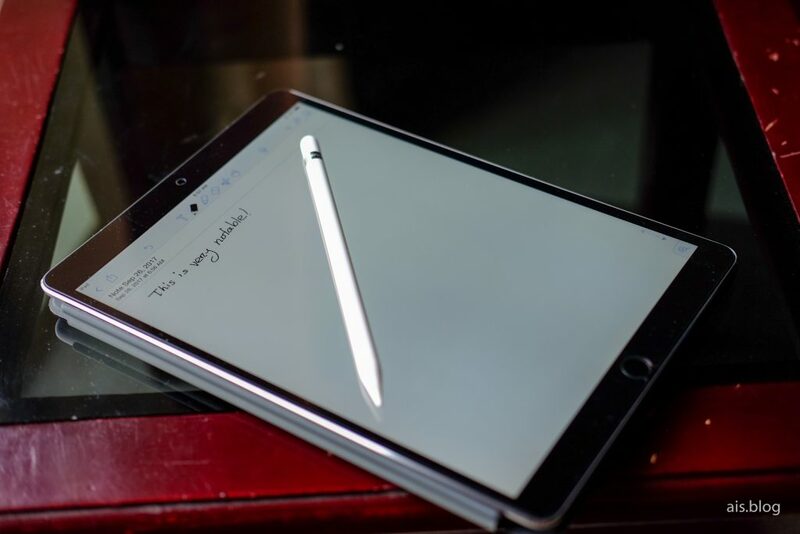 Added on November 2018: Apple recently announced the redesigned iPad Pro with a new Apple Pencil and Smart Keyboard. By reading and watching all the reviews I can so far, I’ve come to the conclusion that the new iPad Pro is everything that the old iPad Pro was, but better. The same goes for the Pencil too. Much of the problems I mentioned in this review are now gone. The redesign also makes the iPad Pro look much cooler and slicker than ever before. However, it’s still running iOS. Even though the 2018 iPad Pro packs even more power than the outgoing 10.5-inch iPad Pro, it still runs on iOS which is the major limitation that holds back the iPad Pro’s true potentials. So, pretty much all of what I said above, regarding the software limitation and how it might or might not fit into your work style, remains true for the 2018 iPad Pro. What do you think about the iPad Pro? Got a question? Feel free to let me know in the comments. If you have an iPad Pro already, don’t forget to add your opinion about the iPad Pro in the comments too so that other people may be benefited by your input.